The pen that helps to keep the chicks secure on the ledge doesn’t interfere with the parents ability to keep them fed. 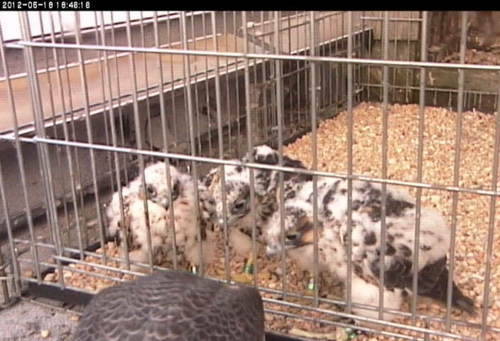 Below are photos of the female feeding all three of the chicks through the pen. 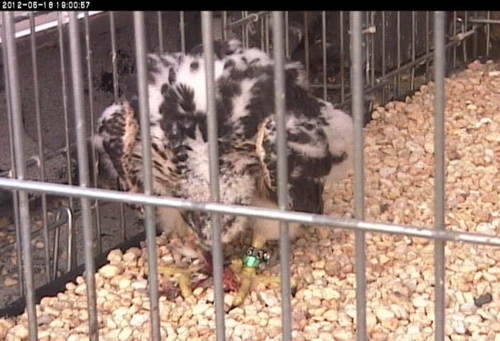 Larger prey portions are even passed through the bars, giving the young falcons pratice at tearing and dismembering their own food.